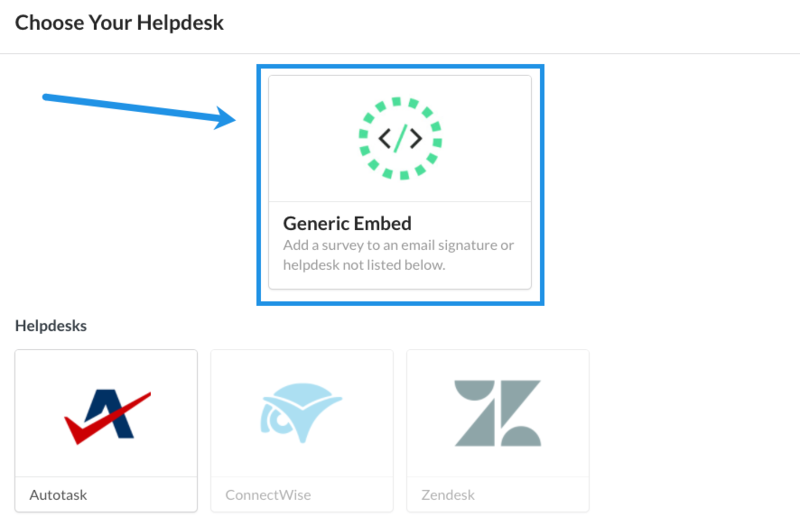 Simplesat allows you to create a CSAT survey that you can embed directly in Accelo email notifications. 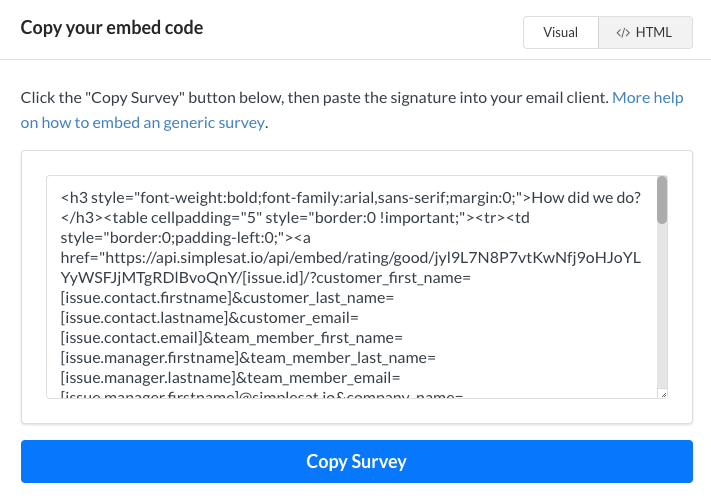 Customize the survey settings, and add Accelo's email placeholders in the Embed Code section. Accelo doesn't include Team Member Email Address as a merge tag. 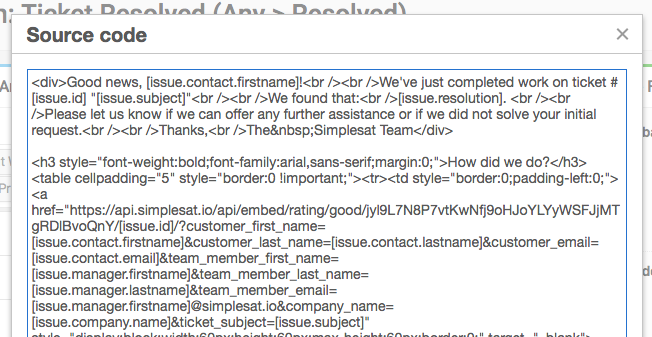 Simplesat needs this email as a team member's unique ID. In order to get around this, you need to "hack" this field by adding a value such as [issue.manager.firstname]@example.com . The email address doesn't need to be valid, just unique. 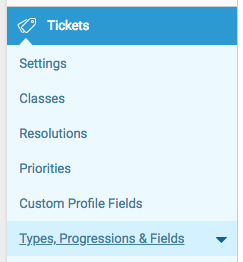 In the Admin section, navigate to Tickets > Types, Progressions & Fields. Find the activity that sends an email to the contact once a ticket is resolved. On the Edit Activity Action page, click the Source code icon in the toolbar. Paste your survey's HTML code where you'd like the question to appear and click Ok.
To fix, click on each image and then Custom size to set dimensions. Choose 60 x 60 for width and height. Once you're happy with how the survey looks, save the status. 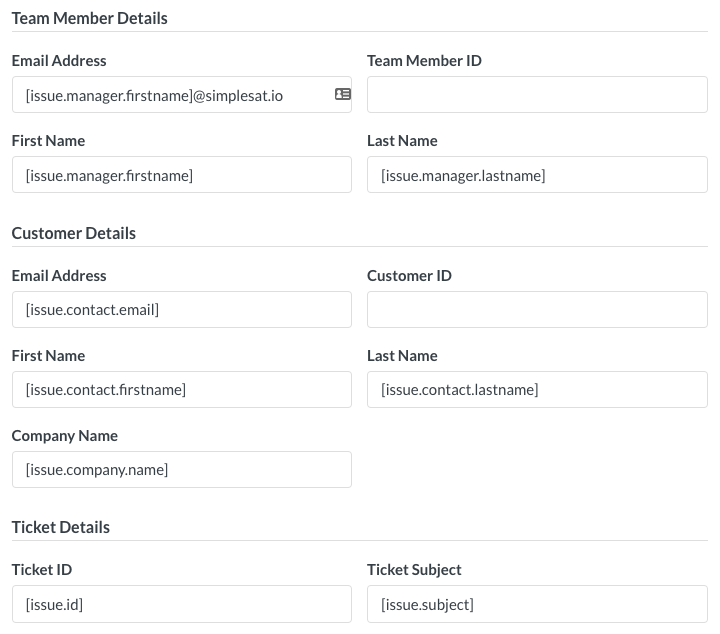 Create a test ticket with yourself as the primary contact. Solve it and click a rating in an email. Once you do, new feedback should instantly show up in your Simplesat dashboard.